Hoover and Fisher have combined their unique talents to deliver a deliciously twisted tale of deceit, love and friendship that keeps you guessing long after the heart-stopping end. Check your preconceptions at the door, readers. 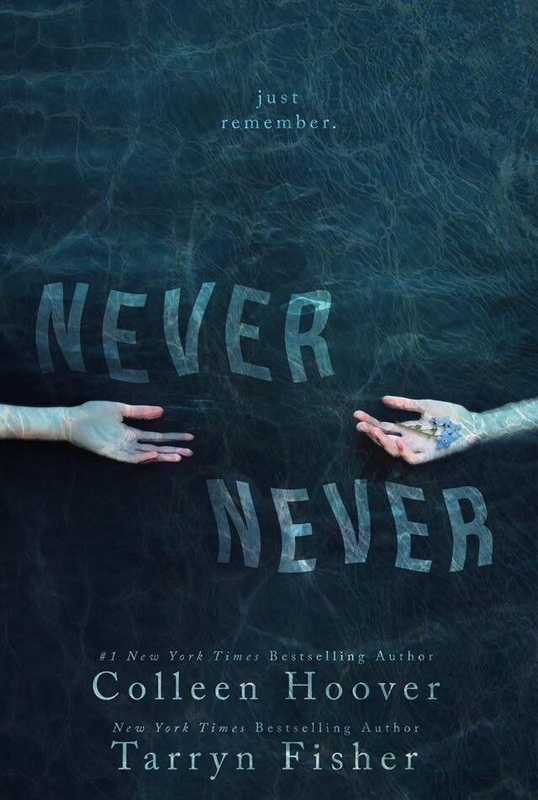 This is a different—and exciting—Colleen Hoover/Tarryn Fisher experience. 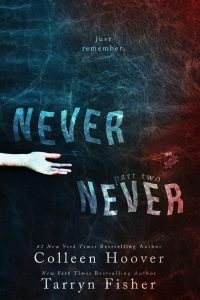 Never Never is a story that defies a specific category. It’s romantic, suspenseful, witty, edgy, mysterious and even creepy. I loved it!!! It has a supernatural twist that fuels the intriguing crux of the novel, sparking endless possibilities to conjure in one’s mind. Chapters alternate protagonist point-of-views as we piece together what’s happening in a book that starts with a blank. Charlie and Silas have been friends since they were young, together since they were teenagers and now they’re strangers. The book’s mysterious circumstances begin to unveil, as Silas and Charlie’s story takes shape. The plot-driven approach peppers fragments of who they are slowly, as they react to situations and each other. I won’t divulge too much information, as it’s best to experience this story blindly, but I’ll share that their tale is twisted and unusual. Not only that, there are shocking truths that change everything, and nothing is at it seems. And these truths… they’re mere glimpses of what’s to come and it makes the story feel more sinister. The story moves quickly and concludes with a totally heart-stopping, leave-me-breathless, oh-my-godding kind of ending. It was brilliant and it totally rocked. I promise that like me, you’ll be more than ready to devour the next book in this compelling new series. Ready to unravel this mystery to the core. Ready to embrace what is sure to be more chilling… more thrilling… more spellbinding. Overall, it was a wonderfully suspenseful, addictive book. I was happy to see these two differently styled authors come together to push the boundaries of their individual comfort zones, and the result is definitely something to gush over. They’ve given us a page turner of a story we are sure to remember. This is the first book in a continuing series. Three books expected. I just read your more than awesome Review on the book and damn it! You convinced me to read it as soon as possible! Thanks so much for this Review. You’ve convinced me!!! I’ll read it!! !